The other day, a startup founder told me their ‘marketing strategy’ is to get their product to go viral by hoping people would tell others about it. Oh, and they are ‘doing’ Twitter. I had to go home and have a lie down. Why? Because I’m tired of explaining the difference between marketing strategy vs tactics and why it matters. I’m putting pen to paper here to avoid having to explain it another 1,000 times in-person. I don’t claim to have all the answers but this is mine. There’s enormous confusion in both the startup and corporate worlds about what marketing is and what it’s for. Marketing is the process of identifying and satisfying customer needs in order to grow revenue, and thereby profit and shareholder value. I recommend reading up on how marketing is the process that drives revenue growth. Paraphrasing Peter Drucker: in business everything is cost apart from marketing and innovation. Strategy is the combination of things you need to do to hit one or more objectives, limited by time and resources. It’s what you set out to do to achieve some desired outcome with constrained resources over a specific timeframe. An objective is something ambitious that you aim to achieve. An objective must be DUMB: Doable. Understandable. Manageable. Beneficial. Objectives are qualitative but time-bound. Define 3 to 4 measurable results for each objective. Measurable results should be quantifiable, achievable and challenging but not impossible. Google, LinkedIn, Twitter and many others use this approach in the form known as OKRs (Objective and Key Results) as pioneered by Andy Grove at Intel in the 1970s. OKRs were themselves based on Peter Drucker’s Management by Objectives (MBOs) from 1954. A tactic is a technique, tool or method you will adopt do to hit a ‘measurable result’. In other words, a tactic makes no sense if you don’t know why you’re doing it. A tactic is meaningless and worse than useless unless it’s tied to an objective with measurable results. 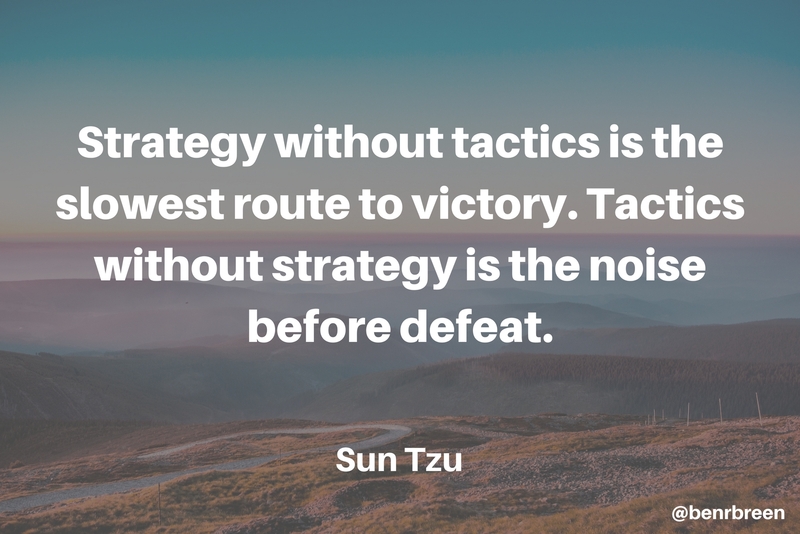 As Sun Tzu said: tactics without strategy is the noise before defeat. Ultimately, a number of actions need to be carried out to put a tactic into practise. An action will be carried out by an individual or tool or service or 3rd-party organisation over a period of time and at some monetary cost to the company. How do you know what objectives to set & which tactics use? The objectives and tactics you need depend on your overall company goals. Overall company goals depend on your business model and the stage your company is at. So the goals for an early stage startup or new product at an innovative corporation might centre around getting to product / market fit. 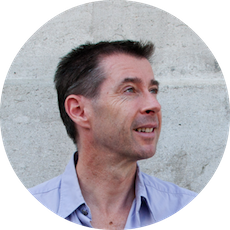 A company that is profitable or Series-B funded may well be looking for ambitious growth. First, if you and your team have done something very similar before then you might think you know what to do and how long it might take. I’d be careful about this though as no two companies, teams, markets, products or services are the same. Even if they were then what worked then almost certainly won’t work now since the world is constantly changing. Best to start with the overall company goals and a thorough diagnosis of the problem you’re trying to solve. Assuming they’re framed effectively, the company vision, mission and values should always drive the direction and priorities for all strategic decisions. Just like in programming, an effective way to accelerate progress is to apply the right mix of relevant, proven benchmarks and frameworks such as Lean Startup, The Startup Pyramid, Lean Analytics, Pirate Metrics (‘AARRR’), The Bullseye Framework, Customer Development, Jobs Theory. Even then, what works for one period of time (say 90 days) won’t necessarily work in the future. 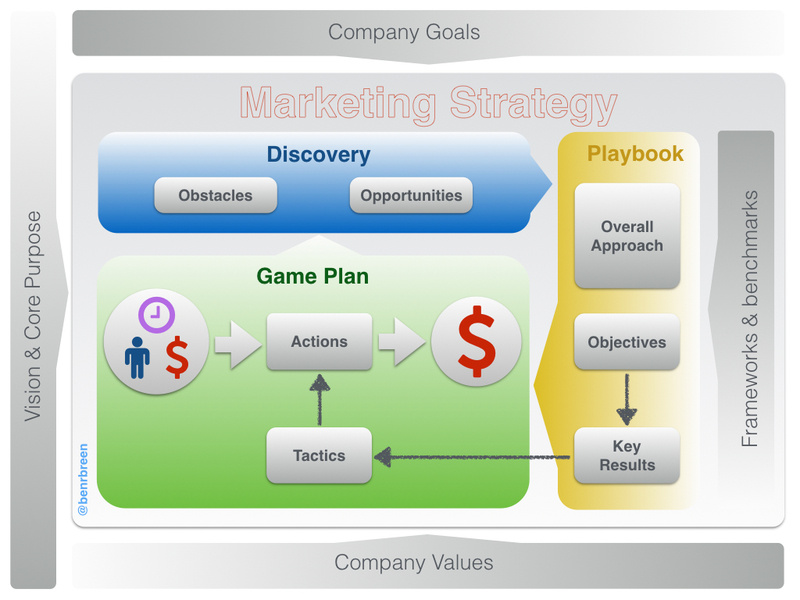 It should be obvious from the diagram that goals and / or tactics on their own do not make a marketing strategy and will not get you the results you want. There is no magic bullet but there is a process for getting marketing to work: creating customers and making money. Is it a lot of work? Of course it is. But my guess is that a good strategy is more likely to get you the results you want, take less time and cost less money than winging it. Not having a strategy means not knowing why you’re doing what you’re doing, what you’re aiming for, whether it’s working or what to do next. It means winging it. Making it up as you go along. Most startups don’t have a strategy, and most startups fail. Go figure. Having a strategy means you know why you’re doing what you’re doing. You have a clear game plan for moving the company forward. You can track progress towards your objectives, or deviation from them. And you can course-correct before burning-up. If all you have is random tactics, you will (almost certainly) drive yourself crazy, run out of money and fail. Period. With a good strategy and the right tactics, either you’ll hit your goals or you’ll know why not. This article first appeared on Ben’s personal blog.